I think Kurt has a lot of knowledge just doesn't need to be a HC. 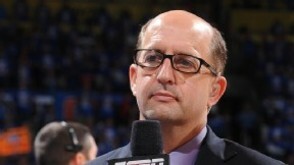 Lakers adviser; Kurt Rambo...Oh fuggg. Lol. But on a serious note I think his familiarity with Luke in the past would be beneficial going forward. Better hope they don't bring back the Triangle....lol. Both teams have x-superstar advisers! → Andrew Bynum Trying to Make a Comeback.